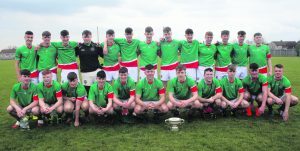 There were scenes of great excitement in Claughaun on Saturday when the Academy footballers were crowned All Ireland champions. Elaine O’Regan has been teaching in the school for the past 12 years. 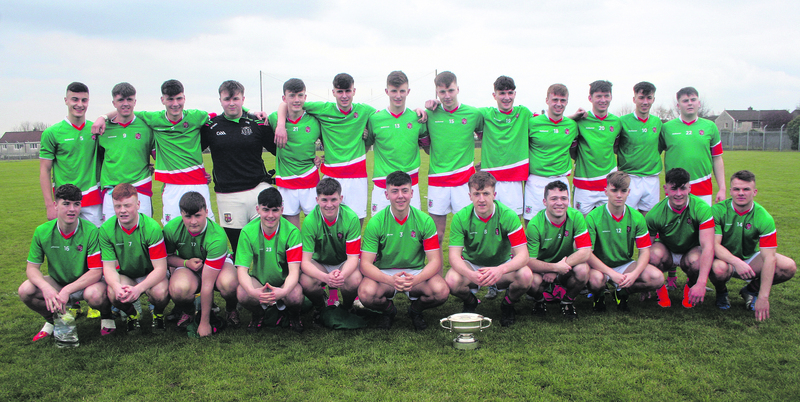 This is her first year as Principal and she was thrilled with the All Ireland success.”It means everything to the school and the community.” These are a fantastic bunch of boys, and she paid tribute to their coaches Derek and Eoin for their dedication. It has put the Academy on the map, and she hoped for further success in the years ahead. We still have a few other finals to play. Selector Derek O’Brien was thrilled with the success. It was the culmination of a number of years. We were in the Cork Colleges Senior A FC this year and we won that title. We also won the Munster and are now All Ireland champions. We had a lot of high power players in our team. It means everything for the school. Thirteen of the panel of 24 will be underage next year. We still have a Munster Under 15 Hurling final and a Senior B Cork Colleges final that involves a number of these lads today. Pat Heffernan one of the back room mentors has been involved with teams since coming there as a teacher 15 years ago. Pat came from St Flannan’s where there was great GAA heritage.” To get to an All Ireland final and to be part of it is special, and to win was extra special. The Academy school had been badly burnt in 2016 and the school was moved all over the town. To be back in the school is great. To win this All Ireland today is huge. We have a Senior B Huling Championship final coming up shortly and most of these players are involved. Our Under 15 and Under 16 hurlers are also involved in upcoming finals. It augurs well for the school in the years ahead. These are very good bunch of players they would do anything they are asked in the line of training and matches. They got their deserved reward today.